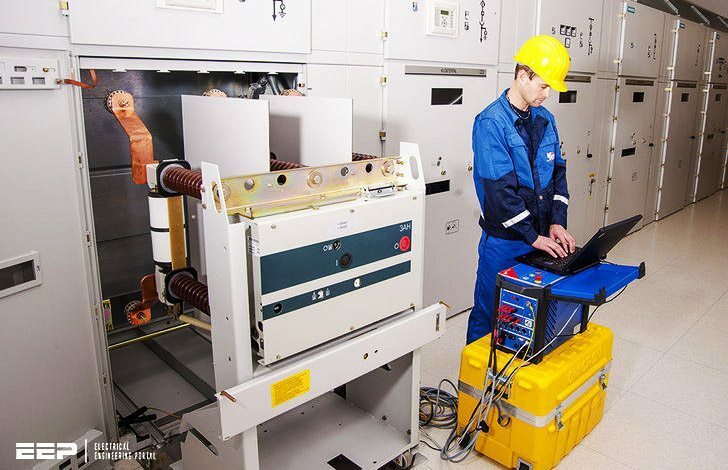 The guidance of an experienced testing professional should be sought when making decisions concerning the extent of inspection and test procedures for electrical power equipment and systems. It is necessary to make an informed judgment for each particular system regarding how extensive a procedure is justified. The approach taken in these specifications is to present a comprehensive series of tests applicable to most industrial and larger commercial systems. In smaller systems, some of the tests can be deleted. In other cases, a number of the tests indicated as optional should be performed. Likewise, guidance of an experienced testing professional should also be sought when making decisions concerning the results of test data and their significance to the overall analysis of the device or system under test. Careful consideration of all aspects of test data, including manufacturer’s published data and recommendations, must be included in the overall assessment of the device or system under test. Section 7 consists of sections specific to each particular type of equipment. Within those sections there are, typically, three main bodies of information: Visual and Mechanical Inspection, Electrical Tests and Test Values. 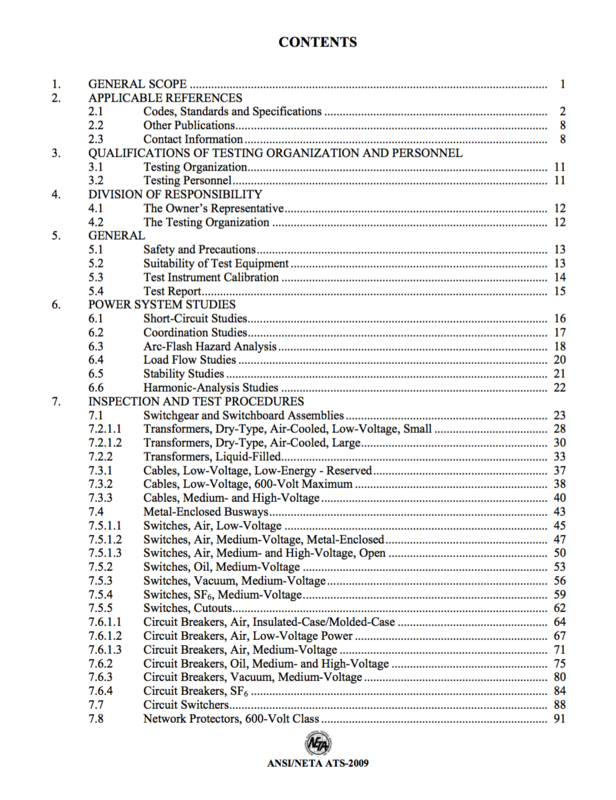 Section 7 is the main body of the document with specific information on what to do relative to the inspection and acceptance testing of electrical power distribution equipment and systems. It is not intended that this document list how to test specific pieces of equipment or systems.